Buying copies of all your favourite first-party Nintendo games can start to get expensive; usually the company's top titles remain at full price across all stores, holding on to their value for all eternity. It is no surprise then that when games are added to the Nintendo Selects Range, offering the full game for a fraction of the price, it is very welcome news indeed. Thankfully, three great games from Nintendo's 3DS back catalogue will be coming to the Selects range on 29th June. They will cost €19.99 / £15.99 to buy from the eShop and likely found at similar prices in your local gaming stores, too. Animal Crossing: New Leaf - Welcome amiibo – Moving to a new town and making new friends is a big step… but it's even bigger when you're the mayor! Get ready to enjoy a whole new life in a town shaped entirely by you. You can use Animal Crossing amiibo cards and figures to invite animals to your village, help you out in minigames or get new items. Two new members of the New Nintendo 2DS XL family will also be launching on 29th June. The New Nintendo 2DS XL plays all of the Nintendo 3DS games in 2D, on a large 4.88 inch screen so it's an ideal option for younger kids. 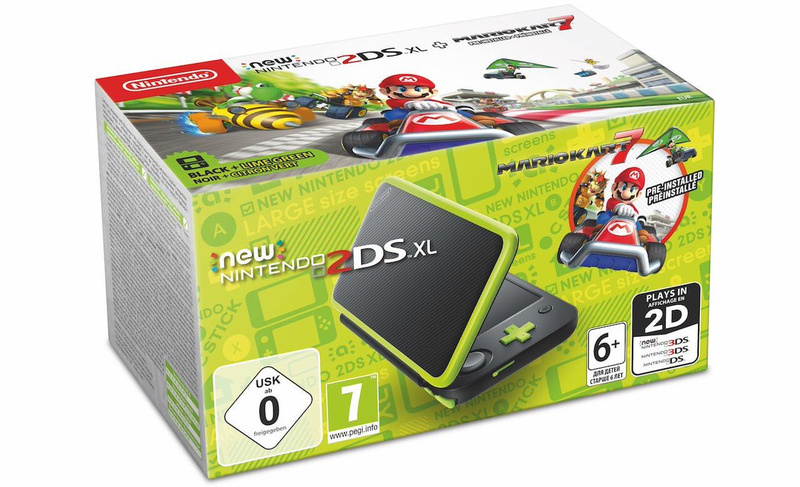 There will be a New Nintendo 2DS XL Black + Lime Green bundle which includes Mario Kart 7 pre-installed. 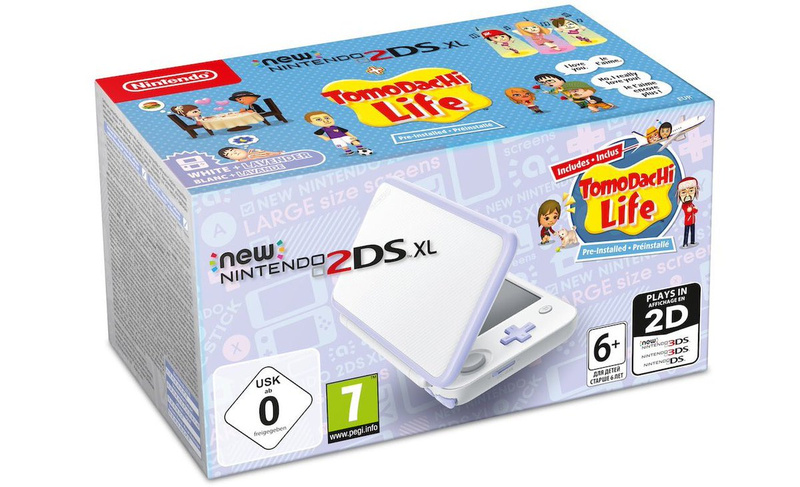 Alternatively you might prefer the New Nintendo 2DS XL White + Lavender bundle which includes Tomodachi Life pre-installed. Even with the success of the Nintendo Switch, the Big N clearly still isn't finished with the 3DS. By positioning it as a cheap and cheerful solution for parents, they should be on to a winner. What do you think of these new additions to the Selects range? I still playing Animal Crossing New Leaf until today. I have to manage my 4 copies of ACNL with different animals each towns. I still have to do my Ritual (Date & Time maintenance) every morning and evening (after working time) to keep my Animal Villagers stay in my town forever, if i still haven't found one villager want to Move Out and i immediately said to stay in my town. Nice, I really recommend Donkey Kong Country Returns for those who haven't played it yet! @Kimyonaakuma It could be hyping up for Switch Animal Crossing still. I bought it 4 times. (3 Physical, 1 Digital download). @Tsurii it runs well, the controls are now all button-based with no Wii-waggling, and there’s a bunch of extra levels. @SmaggTheSmug Yeah, Tropical Freeze is on Switch so it could be the other 2 hyping up Animal Crossing Switch and Super Mario Maker Switch. I don't know about anyone else, but I personally wasn't a fan of Mario Maker on 3DS. The fact that you couldn't search for stages kind of ruined it for me. I had some fun with it for a little while but I eventually got bored and just sold it. The 3DS has so many great games! It's definitely one of the best consoles ever made. And now most of the best titles are a decent price! Finally! I've been meaning to pick up Animal Corssing, but all the second hand copies have been expensive. Great news! How about some 3DS bundles rather than just 2DS. Still need to replace mine but going to see if anything comes out of E3. I still like the 3D effect when it's done right. Wonder fest the cost of the bundles will be? 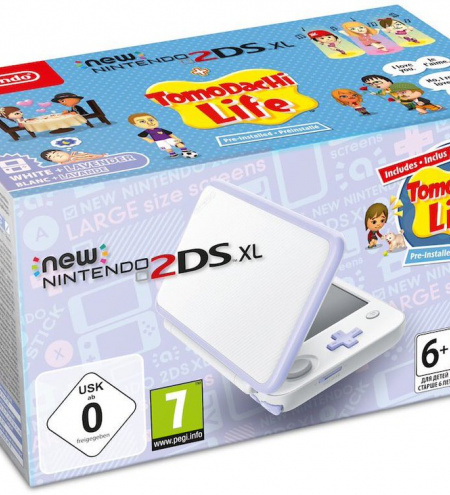 I still recommend the 2DS/3DS to friends who are looking to get their young kids a first system. Low price point, durable, huge library of great games, portable. Could see the 2DS/3DS surviving another 3 years. That being said the black and green console looks amazing! Animal Crossing wasn’t a Selects game yet in Europe? That’s ridiculous. That game is ancient now and has been a discount title in North America for years. That green New 2DS XL is amazing. Time for me to buy a physical copy of ACNL at last? Animal Crossing Switch!!!! Please! 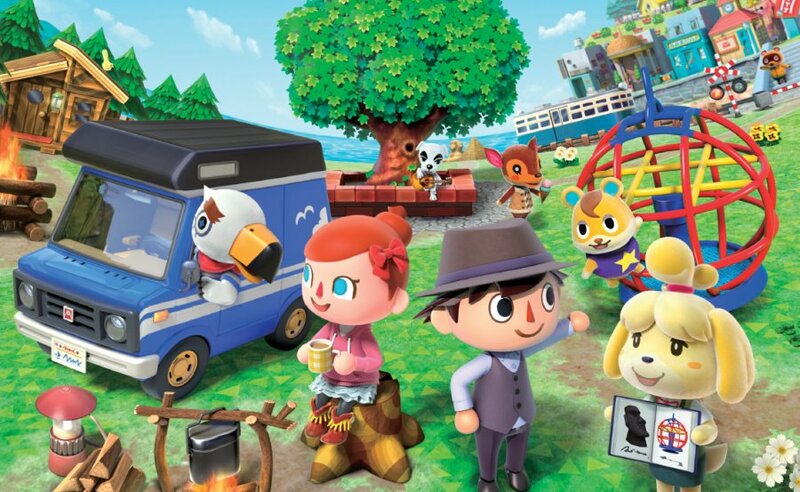 I dropped 300 hours into New Leaf, and if the Switch one was even close to as good and had Amiibo Support day 1, I would probably drop another 300-400 hours into it! @jswhitfield8 Yea I was hoping they might bring back a couple of nice 3d's XL models. I know the focus is on the cheaper 2d's models but even so. That black and green with the 3D model would be awesome. Animal Crossing got a competitor from Portal Knights after update version 1.4.2 from Steam version first. Portal Knights now have Tons of building materials (blocks), plants, objects, NPCs, etc, almost the gameplay will step closer to be similar like My Sims or Animal Crossing in term of House designing / Terraforming. DK Country Returns is definitely a great game and one of the best platformers out there, I really recommend it. There's tons of levels and also replay not only for the collectibles but simply because it's fun, and the 3D effect is amazing. Even if you owned the Wii version, the possibility of not having to waggle the controls, portability and new levels make it worth a second dip in my opinion. I knew it was only a matter of time before they started adding more colors! Cool. Mario Maker was hard to find cheap, so I'll be getting that. Those are some cool 2DS colours! Unfortunately I've already got both of the games. 29th of June, huh? Same day as the N. Sane Trilogy, weird. Oh well, it's gonna be a great day for platformer lovers! Do these things usually end up coming to USA too? "Hey kids, still don't own Mario Kart 7? 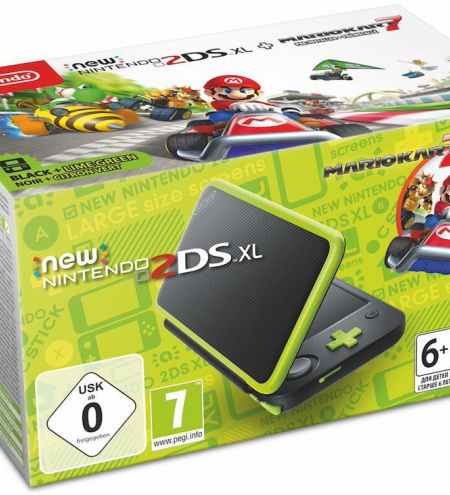 Well maybe a black and lime green 2DS will tempt you!" @anglon Usually but a bit later and sometimes altered bundles to suit the US Gaming Market. @Angelic_Lapras_King Sweet thanks! I missed the indie option for Retro City Rampage! I hope those come back too! @Anti-Matter Is Portal Knights a pretty good game? "Is Portal Knights a pretty good game?" You will like that game. @Anti-Matter Wow. That game looks awesome! I didn't know it had all that cool stuff in it! Definitely the very next game I buy. @Executer66 I didn’t bother getting the 3DS version for (mostly) that specific reason! @MagicEmperor: Yeah, what happened was I saw it and was like sure I'll buy that even though I didn't research it. That was a mistake. Now I make sure I diligently research every game I'm going to buy because I do not want that to happen again. I'm tempted to buy a second copy of Animal Crossing.